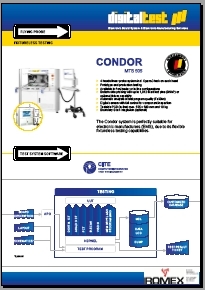 Condor MTS 505 Flying Probe Tester - Testprobes, Testfixtures en Testsystemen. 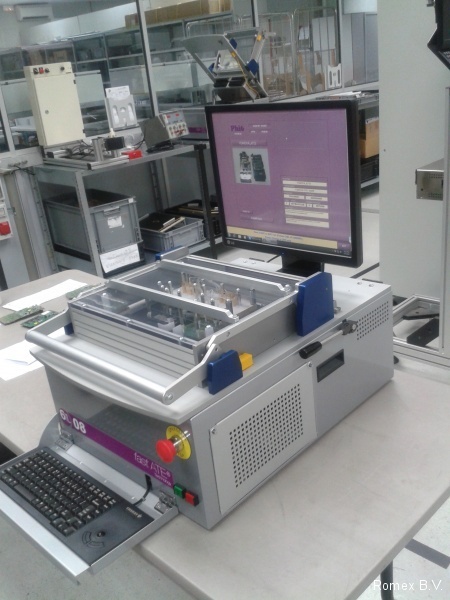 Primarily the Flying Probe Tester was developed to enable In-Circuit testing (ICT) of prototype PCBs. For testing a new design an existing fixture has to be changed or a new fixture has to be procured. 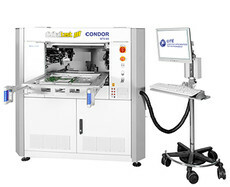 The fixtureless design of the DigitalTest MTS 505 Condor is one of its most attractive properties, where the unnecessary and costly time delays incurred for fixture build or changes can be avoided. It is the ideal platform for testing prototypes. The MTS 505 flying Probe tester is an integral part of a successful test strategy and can also be used for normal production testing. Due to decreasing components fewer test points are available or can be placed on an assembly. 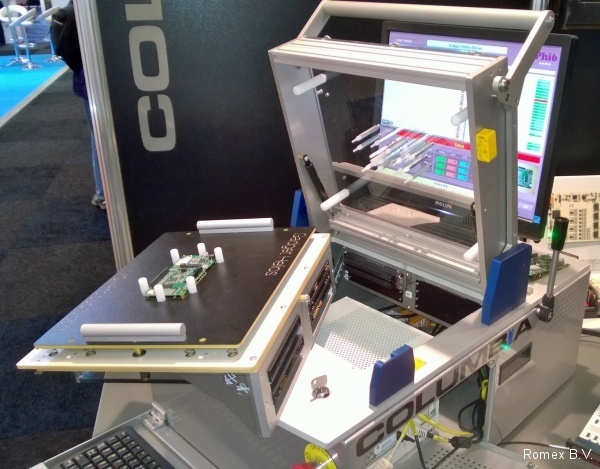 This means that expensive double sided fixtures are required for testing with bed of nails in order to avoid compromising the test coverage. The Flying Probe Tester, however, can contact pads of only 4 mil (0,1mm) , where 25 mils (0,63 mm) are necessary for minimum probe clearance for a BON fixture. Changes to CAD data during design can be adopted easily into the test program and the resulting changes can be measured immediately. By utilising planar motor technology the Condor obtains the highest accuracy and precision. With all test head probes free to move over the whole of the PCB surface high adaptation strength and test coverage is ensured. The MTS 505 provides maximum flexibility. 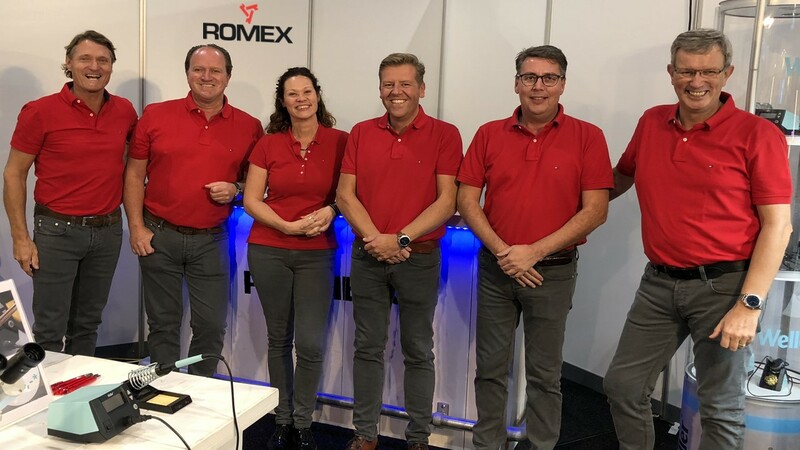 With easy to use and modular software sophisticated test programs are possible and with the integration of external hardware and software modules almost every test challenge can be solved. 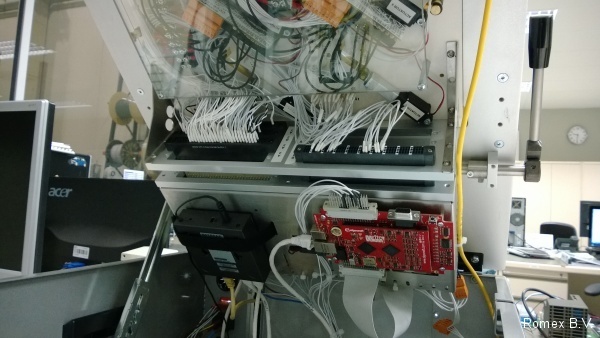 With the Condor it is possible to contact the component to be tested with more than the four flying probe pins by using fixed pins to contact from the bottom of the unit. Furthermore a full bed of nails fixture can be added to increase test coverage or to reduce testing time. This bed of nails fixtures can be equipped with up to 1.140 pins. To compensate for loading caused by the pin force a vacuum cartridge should be used. This technique combines the advantages of a Flying Probe test system with the advantages of a Bed of Nails In-Circuit Tester. 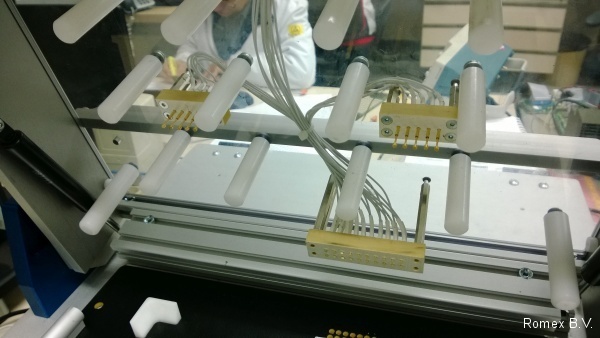 It is possible to use a pure Flying Probe test in the initial phase of a project e.g. 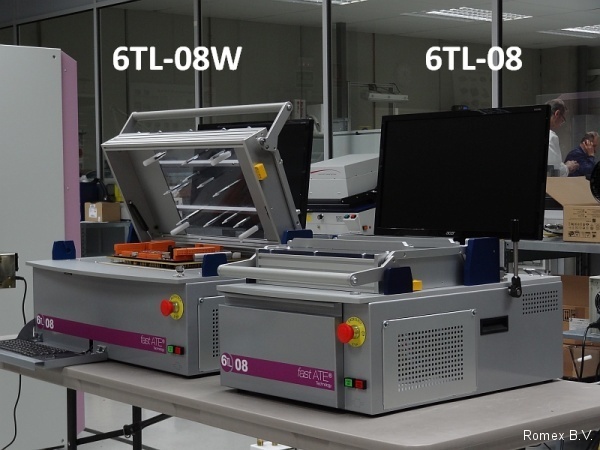 in the zero-series and later, when the production volume increases, to extend the test program with a Bed of Nails fixture providing faster test times to match the increased volumes. The Condor Flying Probe utilizes the portable 19 inch MTS 30 System at its core. This can be removed from the Condor and used separately for testing. 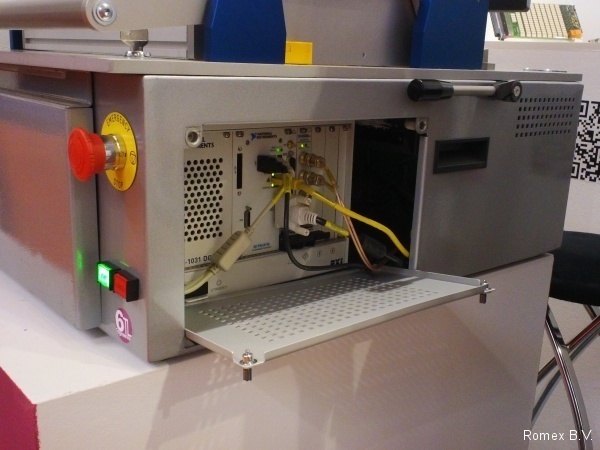 This providing two test systems in one, one which can used as a Flying Probe Tester and the other as a desktop tester. 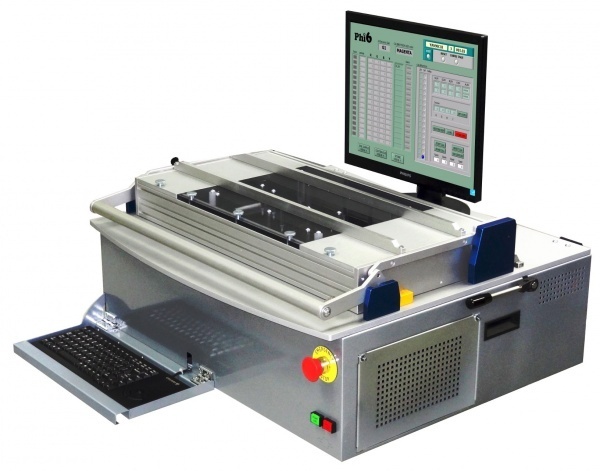 Flying Probe Tests without a fixture or a separate Bed of Nail test with the compact 19 inch tester can be performed. MTS 505 Condor can be integrated into production concept as it is available as an In-Line System (conveyor fed) or as Front-Loader System(hand loaded). 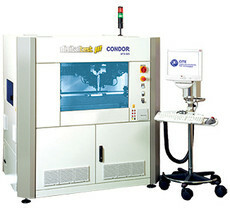 Please contact us to receive more information about the Condor Flying Probe Tester.